Island of Marvels: Madagascar – The greatest biological hotspot on the planet. When I normally write about species specific, or even my diary entries for popular media articles, I normally have to stick to quite a strict word count limit. This, quite obviously results in the facts and information I provide about anything, not being provided in its fullest form which to me is simply not good enough! So, I suppose it can be seen as a very good thing that I am writing within a blog now as well, so things are actually explained in greater and more referable detail for the public. Now, as this is the first official blog entry for my website, I think something appropriate is required, to start from the beginning and what better place to start than with the island of marvels itself, one of the most important and highly biologically diverse countries on the planet. This of course is the Republic of Madagascar. Measuring a grand total of 592,800 square kilometres (228,900 sq miles), it is the fourth largest island on the planet. planet and with this quantity of land along with total island isolation, the wildlife upon it have had all this time to evolve into the life you can find today. Most of which are entirely endemic, as a matter of fact over 90% of all life on Madagascar can only be found upon it. This completely unique and diverse menagerie is thanks to its geological past, with the landmass being situated in the direct centre of the Gondwana super continent. This of course at this time (approximately 140 mya) in prehistory, was about the time when life on earth was changing, with species of flora finally blossoming and blooming, primitive species of Mammalia and Aves (Birds) were emerging and co-existing with earths current longest surviving inhabitants, the Dinosaurs. Each of these classes of life were finding their niches and, when the mass extinction of the Dinosaurs occurred, the would-be island started to come into its own. Life however, from the island, are in fact made up of a mixture of different lineages and not all as old as some of their Gondwana era originating livestock. Most are the descendants of hitch-hiking or migrating ancestors that arrived much later than this, either floating upon pieces of drift wood from the east African coast or perhaps even traversing great distances by swimming or flying to reach this destination, eventually marooning themselves or simply never leaving the rich and highly diverse habitats of the land. Golden Mantella (Mantella aurantiaca) at the Menalamba locality of the Torotorofotsy Wetland Reserve. ©2015 – Joshua Ralph – All Rights Reserved. 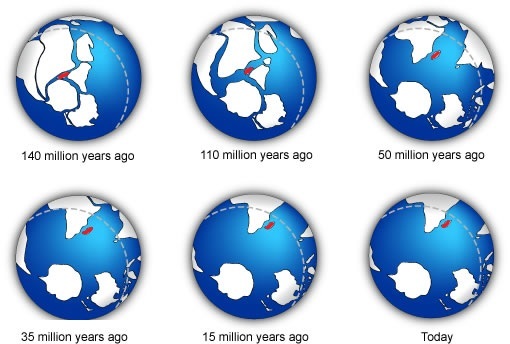 The step-by-step breakup of the super continent of Gondwana, over the course of 140 million years. 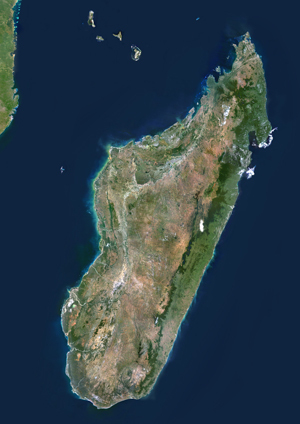 Madagascar is highlighted red upon each map. It certainly is a lot to take in, even when it is written in its simplest form using the very basic of information. But of course, that isn’t where this blog entry ends, I think you diverse knowing about some of the life found upon it today. In respects to Herpetology, the vast amount of Amphibia (99.5%), Arthropoda and Reptilia (92%) is outstanding and there are still more and more being discovered every year. Regarding Amphibia, currently there is thought to be roughly 300 species accounted for that have been described, however more are still awaiting appropriate description and even discovery. 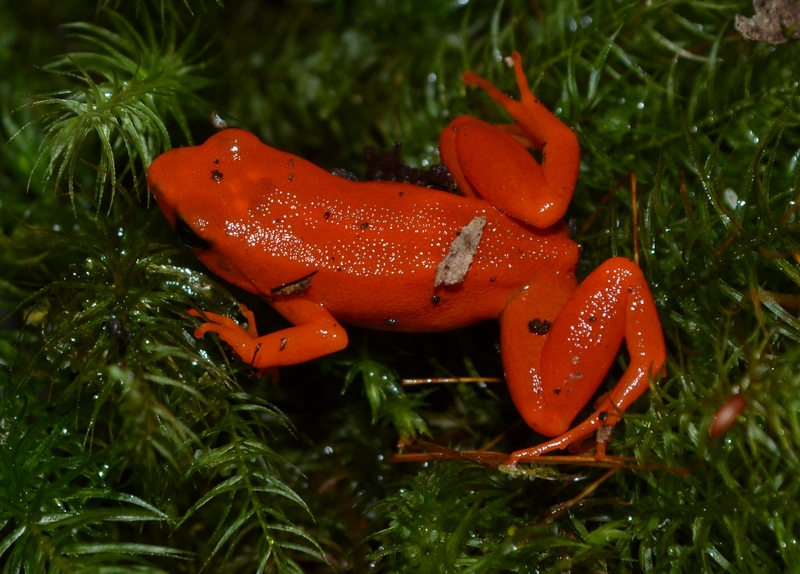 According to the R. G. B. Perl and other researchers, in the article titled “DNA Barcoding Madagascar’s Amphibian Fauna”, it is listed that just over 500 species are to be found within their country of origin, but it is believed to inhabit a greater amount than above said quantity, by approximately 200 species. Anyway, I think that is enough for this entry and I will conclude this two-part blog entry in the next few days. Take care and keep on loving nature!! Perl, R.G.B., Nagy, Z.T., Sonet, G., Glaw, F., Wollenberg, K.C. & Vences, M. (2014) DNA barcoding Madagascar’s amphibian fauna. Glaw, F. & Vences, M. (2007) A Field Guide to the Amphibians and Reptiles of Madagascar. Austin, D & Bradt, Hilary. (2014) Bradt Guide: Madagscar.